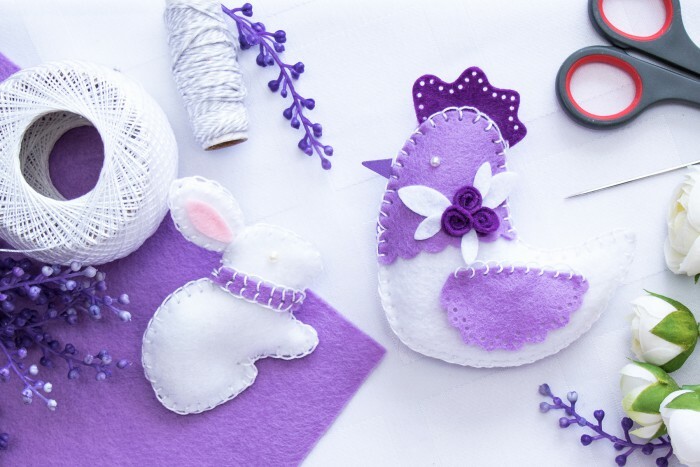 I am still working on my DIY table setting for Easter, I’ve shared a few items I made already – Easter Egg Cozies and Polka Dot Eggs. 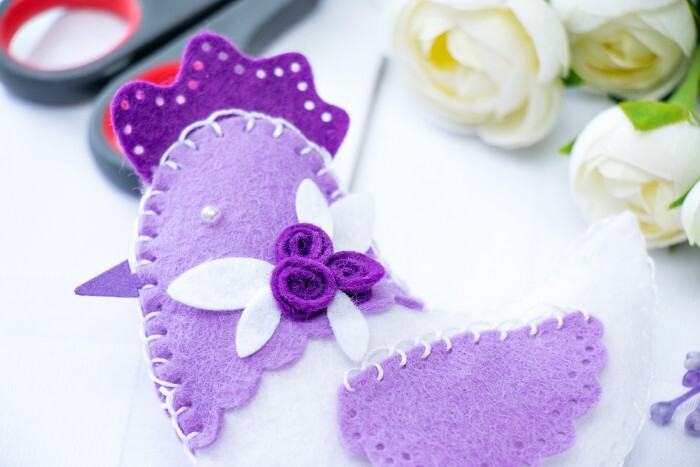 When my Mom saw those she really wanted me to make a few for her as well, so I’ve made a few extra egg cozies and polka dot eggs in pastel purple and green, I’ll share pictures later once I take some good photos. Today I have Easter Chickens and Bunnies to share here. 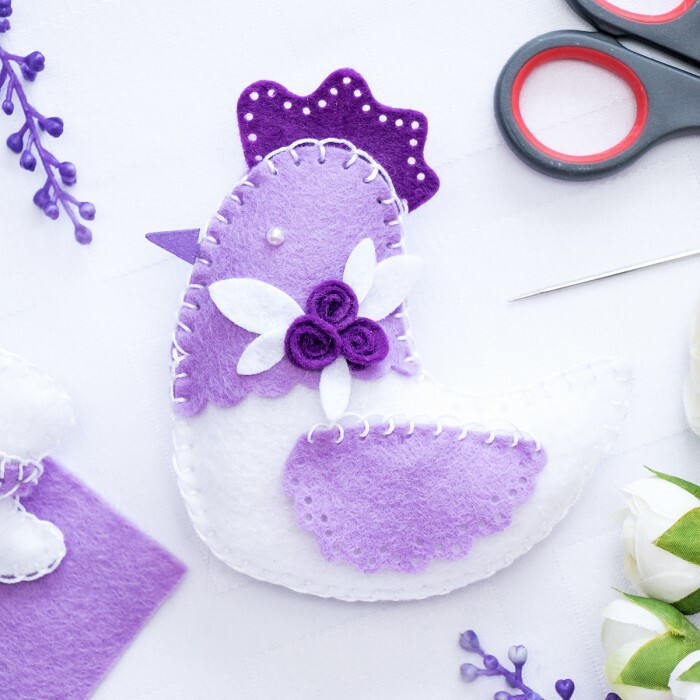 I am not sure how I will incorporate all of those into my Easter Table Setting (I do feel I have too many plushies already), but these are too cute not to keep making them. I am a point right now where I die cut the pieces, take them to our living room and sew them while watching a TV show before we go to sleep. Plus I got Simon’s felt the other day (which really is very easy to die cut) and a few more dies – so lots more will come of this. 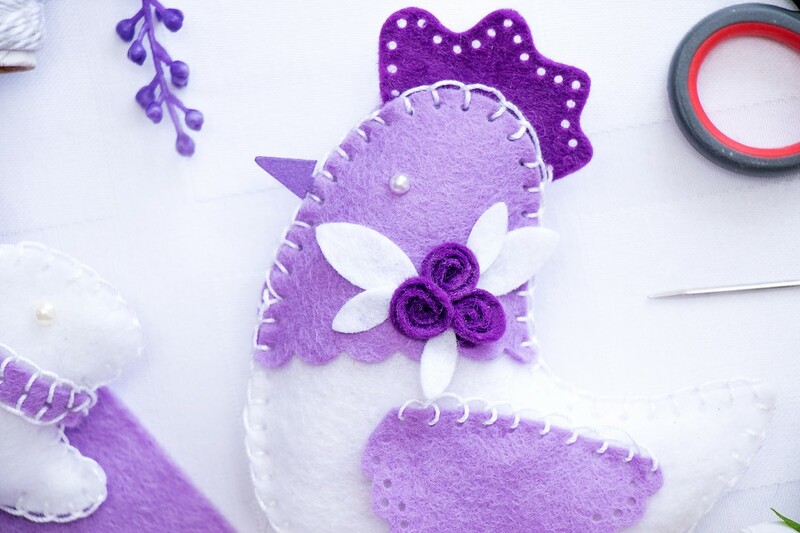 I used the same white, light and dark purple felt color combo for the chicken, decorated with a few die cut flowers and leaves. The beak was created out of purple cardstock and I used white pearls for the eyes. 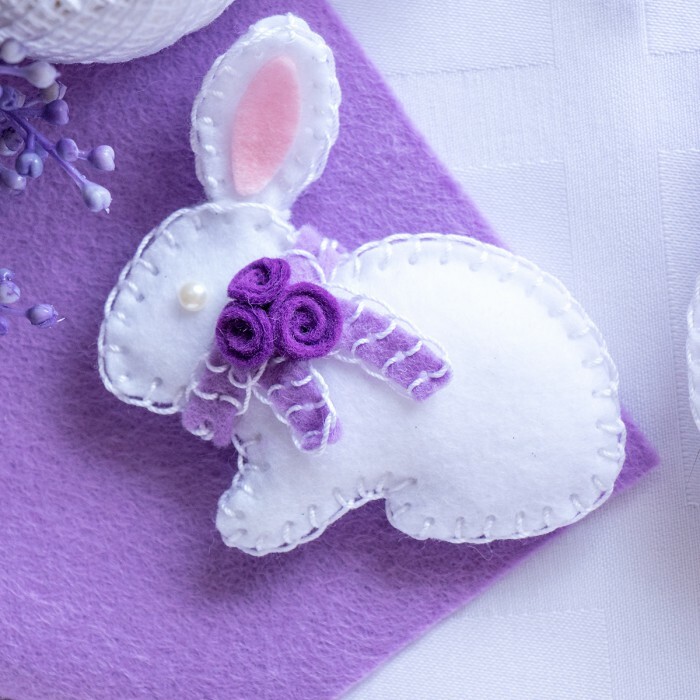 I also made the cutest little bunny using the same supplies, love the pink ear inserts. Are you as addicted to making these as I am? Cuteness overload!!! These guys are so cute! And is needless to say how much I love the theme color.